A long time ago, a German moved to England and started making bicycles. Many years later a vast, emerging motorcycle market demanded more. 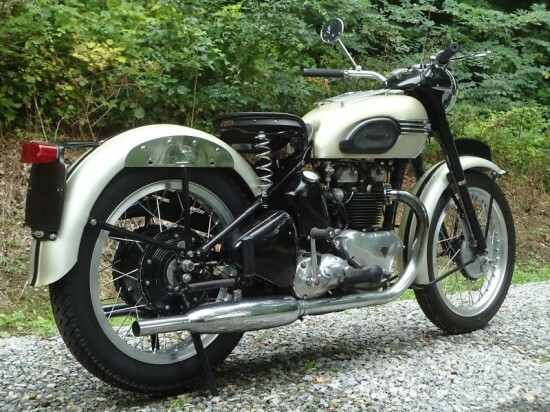 The Triumph Thunderbird like this 1951 6T, was made by the company, Triumph, started by the German, and sold to Americans who wanted more. This is a good story, in short hand. The seller begins their sale with another. There are only a handful of motorcycles that can be considered “iconic”. 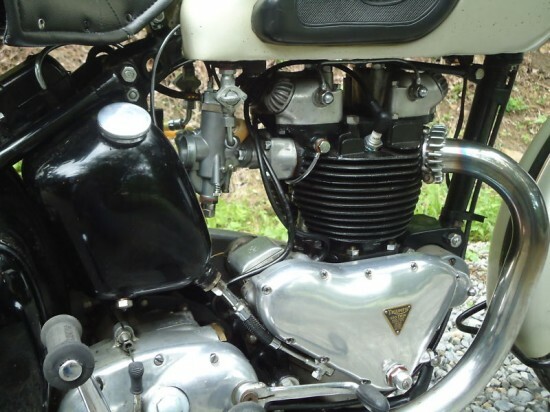 Depending on your point of view, they include, but are not limited to the 1936 Knucklehead, 1969 Honda CB 750, 1940 Indian Chief, Moto Guzzi Lemans, Harley Davidson WL, and the list goes on. The list of the most iconic could be debated for years, but one bike that would certainly get universal agreement would be the Triumph 6T Thunderbird 650. 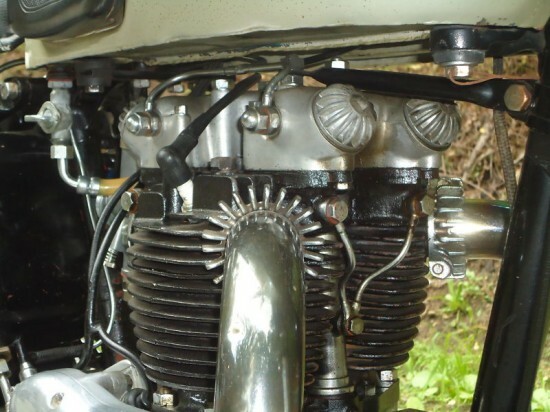 First 650 Triumph engine, that weird sprung rear hub, and hey, Marlon Brando rode one in “The Wild Ones”. They don’t come on the market often and when they do, they are either projects or over-restored museum pieces. This one is neither. We have highlight many bikes with many back stories. This is one of the better ones. Starting over 50 years ago, with a young boy and a motorcycle. And he couldn’t have chosen a better one to pine after. The American consumer in the 1950’s were just like the American Consumers of today. Super Size It was not in the lexicon, but Bigger was Better. 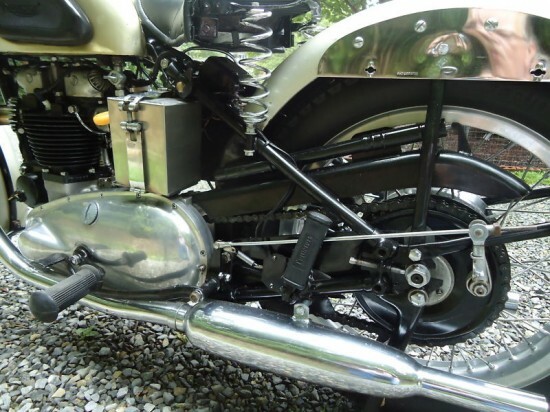 Since before the war 500cc was considered a Big bike by the British. 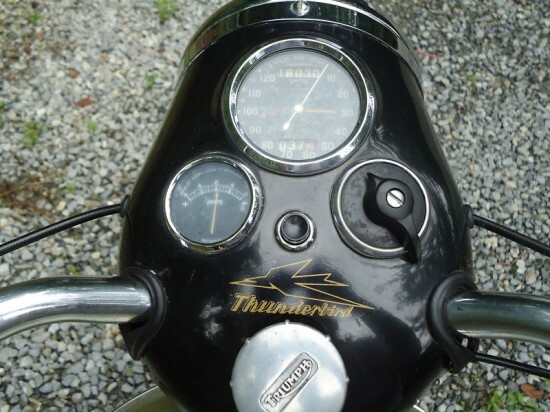 But when Americans asked for something, the 650cc Thunderbird was produced. 34bhp in a rigid frame was good enough to average 92mph over 500 miles at the Montlhéry Oval outside of Paris. Oh and it had the style to be a movie star.